​Sustainable & environment-friendly Oak frames have been the choice of quality building for many centuries. 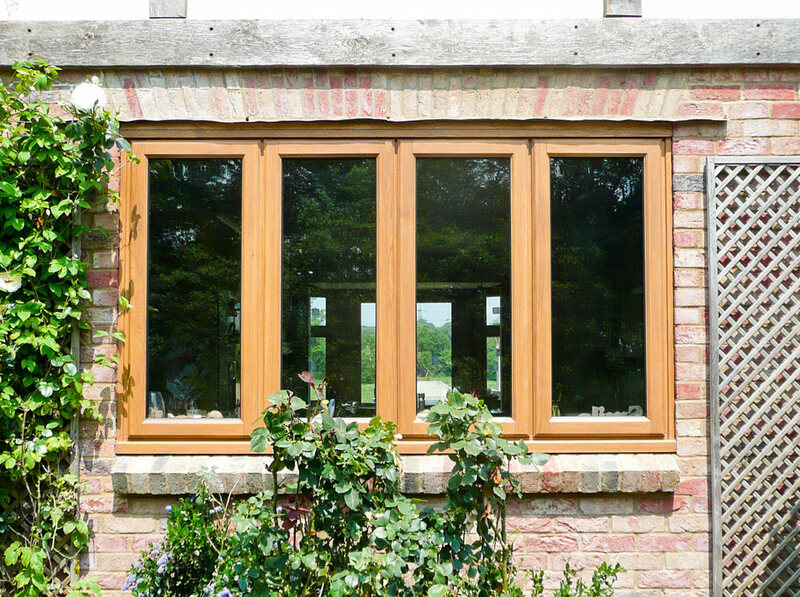 When it comes to a choice between PVCu, metal, or wood, it’s clear which is more environment-friendly. With wood there’s no industrial process, no harmful waste, no noxious fumes. Our Oak comes from Poland's large resources of oak forests and because of it’s climate, the trees grow tall and straight, suitable for the long lengths we require for rafters. In the UK, the term 'engineered' related to timber, conjures the image of cheap timber, finger jointed together to create longer boards from short lengths, to minimise waste. 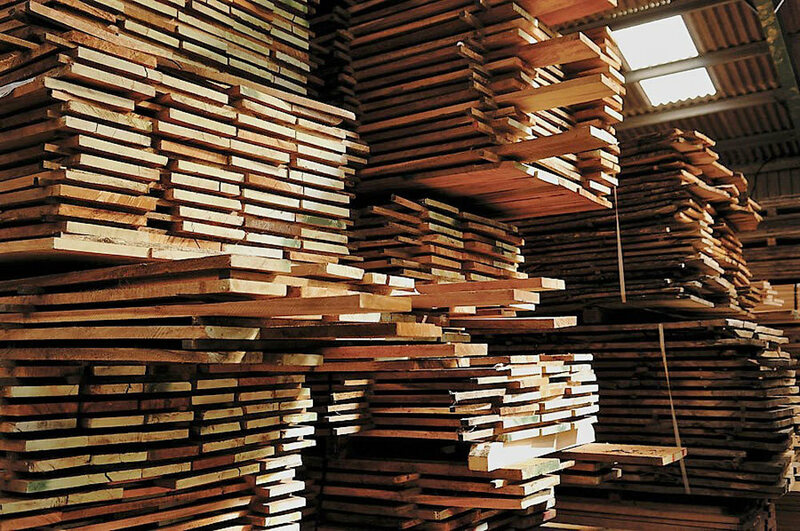 This should not be confused with the glu-lam process, where boards of typically 20-30mm thick are glued together (laminated) with alternating grain, to both create stability and greater strength. For instance, a 300mm rafter of a non-laminated construction is the equivalent of a 225mm laminated rafter, requiring 33% more material to achieve the same task. Equally importantly, if a rafter of say 5m length is required, if made from non-laminated timber, it is susceptible to movement, or bowing. This is not a good idea in a glazed roof where such movement is the common cause of the glazing to leak. Again Richmond Oak only uses Engineered, Seasoned Oak. 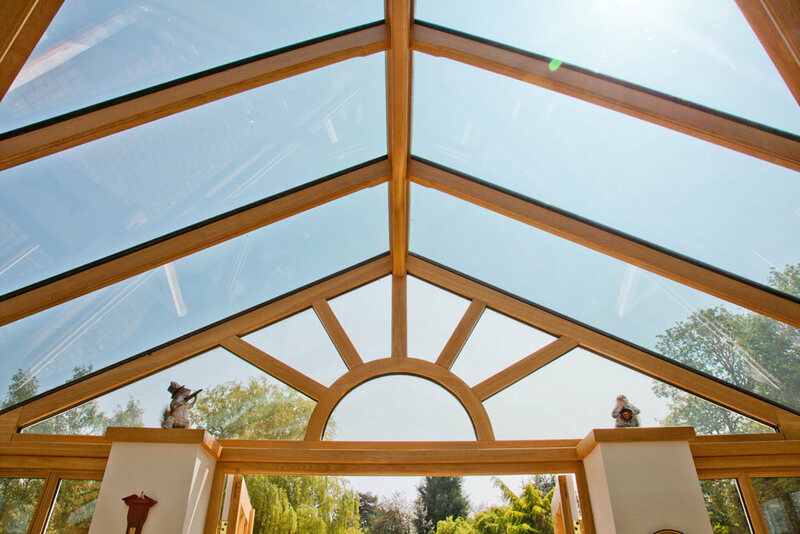 But even comparing the oak we choose with other timbers, we only use European Oak grown from well-managed woodlands, most other types of hardwood favoured by conservatory companies originate from either South America, Africa or Asia. The issue of FSC Forestry Management Certification in the Southern Hemisphere has been questionable for many years and a large proportion of timbers from these areas have no, or falsified certification. 68mm frames with Stormproof, double sealed, overlapping sashes. Available direct glazed or with dummy sashes to fixed panes to create equal glass sight lines. 92mm frames with flush fitting, conservation sashes. These always have dummy sashes to fixtures to create equal glass sight lines. Our 110mm patented, Contemporary range, provides unique features whereby the glass is direct glazed internally, into 110mm square posts. *"UK Patent GB2483519 & European Community Design Registration No 001754722". Designed to create a Green Oak style 'chunky' structure, having a glulam construction, it does not have the movement or glass breakdown issues, associated with 'green' or 'air dried' oak. Throughout the UK timber window and conservatory industry the glass is retained by external glazing beads, which are usually just pinned in place. 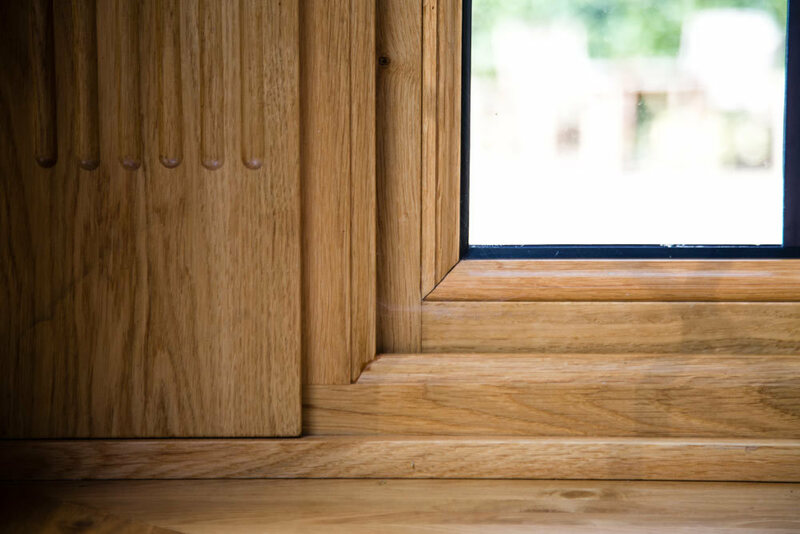 All Richmond Oak glazing is secured by inaccessible internal glazing beads, to ensure the glass cannot be removed from the outside both for improved security, and protection from damage and distortion by sunlight. It also makes unsightly drip glazing beads along the bottom edge of each glass unit unnecessary. 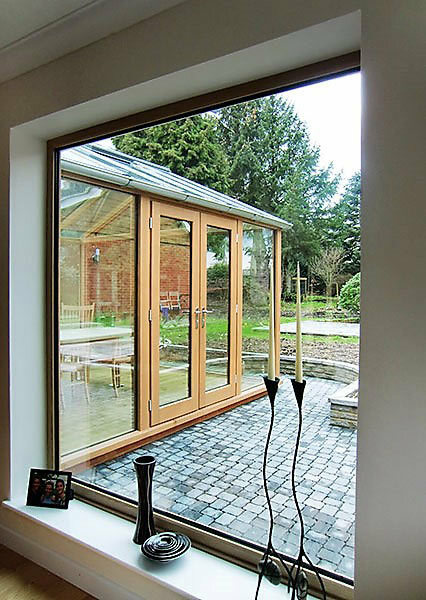 No matter the frame material, the biggest impact upon the usage of your glazed extension all year around, is down to two the things. The type of glass used and ensuring adequate ventilation. 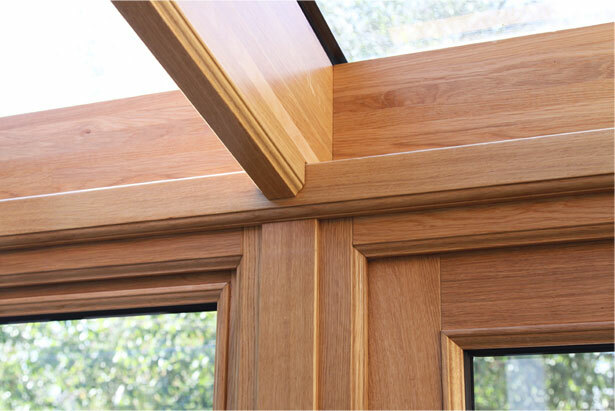 Richmond Oak only recommend the use of the best double glazing available in the industry. For use in roofs, currently Celsius Elite, soft blue tint, toughened, easy clean, solar control glass, is the best for use in the roof. Having the combination of 83% heat reflection on hot days, the highest thermal insulation of any argon filled, double glazing with a 0.9 kw/sq.m u-value on cold days, 94% UV protection to protect your fabrics, makes it up to 25% superior to any other roof glass, . If you don't want a tinted glass roof, we recommend Celcius Clear solar control glass. We also use it on most of our vertical frames, having 58% heat reflection on hot days, 73% UV protection and easy clean surface. In addition to the solar control qualities, with its 1.0 kw/sq.m u-value, at the time of writing, this glass is 16.7% more efficient in keeping heat in on a cold day, than the best non-solar control glass. Why we insist on roof vents? If your conservatory is going to be anywhere but north facing, you should ensure you have at least one or even several roof vents in your glazed extension to allow the warm air to exit the roof. Two thirds of the heat in any room is in the top third of the room. Quite simply, warm air rises, that’s why the floor is normally the coldest point the room. 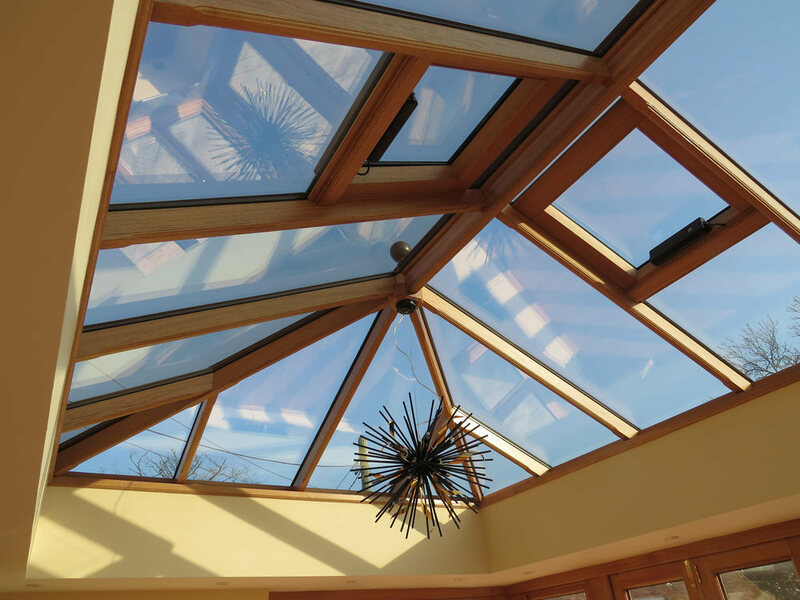 In a conservatory or orangery this is usually made worse by the fact that the warm air, just below the glazed roof is superheated by the sun hitting the roof… even with solar control glass, this is still the hottest point. Despite having all your doors and windows open, there are days when there is no air movement and the hot air just back fills into the conservatory. A conservatory roof vent operates just like a chimney. Warm air rises and just exits the roof via the roof vent(s). Because it’s not possible to have a vacuum, this air is replaced by drawing more air into the conservatory from the outside, thus creating a most welcome draught. 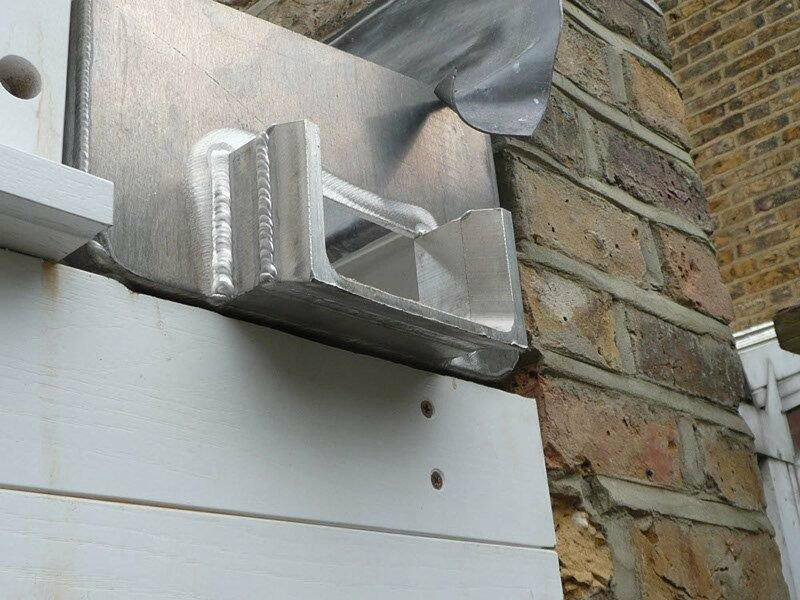 Manual roof vents are operated by pole with a hook at the end to operate a worm screw, which opens and shuts the vent and can be quite an inconvenience. Nowadays, most chose to have these mechanisms electronically controlled for easier use from a wall-mounted rocker switch or remote control unit. You can also make them totally automatic with a digital climate control & rain sensor system that will adjust the opening to maintain your desired temperature in the conservatory and close the vents completely if it rains. 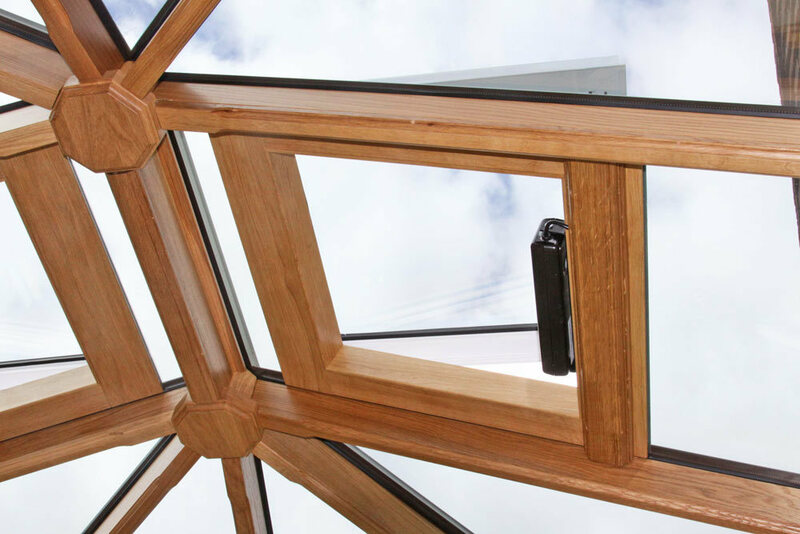 All Richmond Oak's roof glass is retained by a patented, powder coated, aluminium system, ensuring there is no painting necessary above the gutter lineof the roof. The system includes comprehensive components for all types of roof design, including valleys and ridges. Traditional windows were often constructed with narrow glazing bars to retain the small, thinner panes of glass in place. 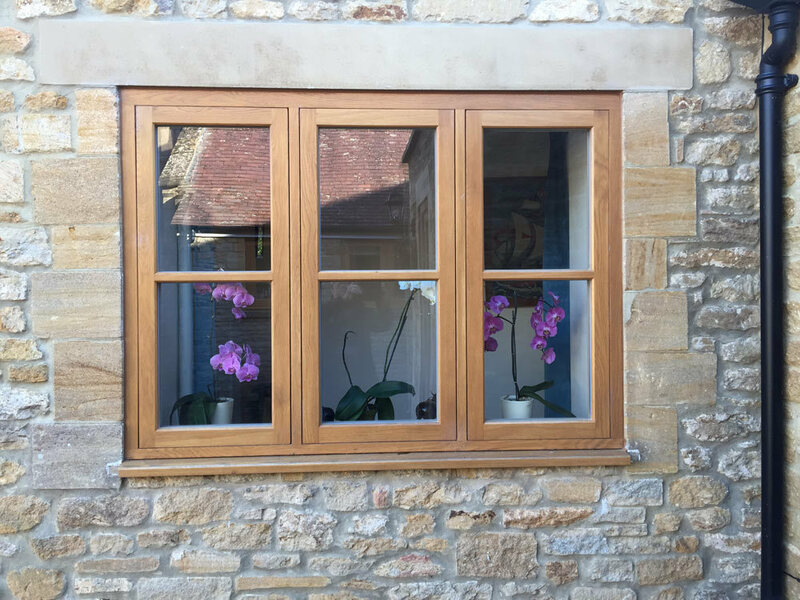 Whilst, it is possible to glaze individual double glazed units into a modern timber window, it is not practical to provide this method with bars much less than 44mm wide, without using special slim-line, narrow gap units. Until production methods are improved, Richmond Oak have chosen not provide slim-line units, as they are extremely expensive and have a poor track-record of failing. However, we have developed an attractive 25mm astragal bar, where an imitation glazing bar is adhered to both sides of the glass unit and a further imitation 'duplex' spacer bar is inserted between the glass, so that the effect is of individual panes. 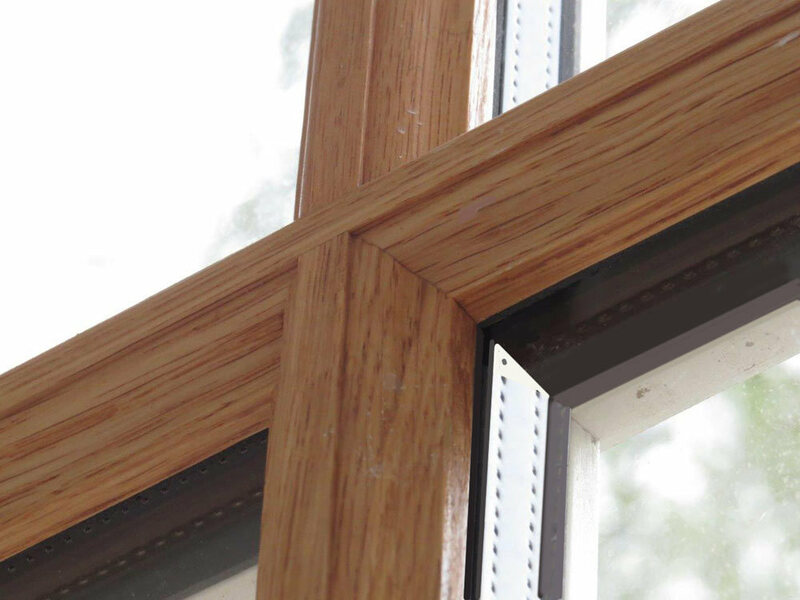 This method is particularly useful when manufacturing multi-pane frames and if done properly is indistinguishable from individual glazed panes. Powder coated aluminium is by far the best maintenance free material for a conservatory roof vent and will include a thermal break to reduce any risk of condensation on the frame. Where the interior rafters are natural timber, as with an oak conservatory or orangery, Richmond Oak provide a unique, bespoke oak lining to the interior of the roof vent. It also hides the cabling. Because of expansion and contraction, and the need to join the lengths of lead, traditional lead lined box gutters are notorious for leaking. Also, they more often than not, require gallows brackets for support, which makes it very difficult using them over a large opening in a wall. Richmond Oak use a unique, all welded, aluminium structural box gutters, oak lined and insulated against condensation. Available in 200mm and 300mm widths, the larger width allows a wall along gutter to enable maintenance and the ability to sleeve a soil pipe through it. For a minimal additional investment about one-third of our customers choose ‘Dual Colour’. In other words, they have a different colour inside and another outside. For example, if the property is a traditional Georgian style, then understandably, they will frequently choose to have a White paint finish on the outside. However, 95% of our Clients choose the ‘Wow’ of a natural oak interior and enjoy the way the oak grain looks so warm against the natural colours in their garden when compared to ‘clinical’ white. Any of the hundreds of RAL colours can be provided, almost an unlimited choice.